How Many Ways Can You Say “Gray”? Bestselling Novelist Karen Dionne talks about how she chose the setting for her newest novel, Boiling Point. Editor's Note: If you are inspired, awe struck or just emotional about a particular place consider using it as a setting in a novel. A place with such emotional ties adds a rich element to the story. 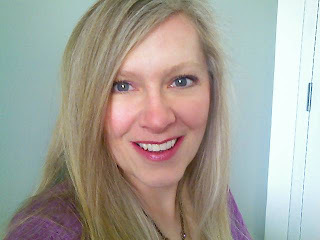 Karen Dionne is the internationally published author of Freezing Point, a science thriller nominated by RT Book Reviews as Best First Mystery of 2008. 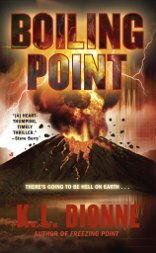 A second environmental thriller, Boiling Point, about an erupting volcano, a missing researcher, and a radical scheme to end global warming is forthcoming from Berkley in January 2011. Karen is cofounder of the online writers community Backspace, and organizes the Backspace Writers Conferences held in New York City every year. She is a member of Sisters in Crime, Mystery Writers of America, and the International Thriller Writers, where she currently serves on the board of directors as Vice President, Technology. 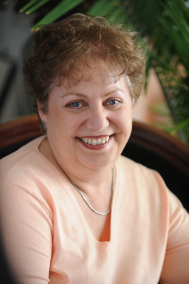 She is also Managing Editor of the International Thriller Writers' newsletter and webzine, The Big Thrill. My new environmental thriller, Boiling Point, is about an erupting volcano, a missing researcher, and a radical scheme to end global warming involving geo-engineering. The story takes place during the time of a real volcanic eruption: Chaitén volcano, in Northern Patagonia, Chile. Chaitén Volcano came to life for the first time in 9,000 years on May 2, 2008 in a major eruption. The magma blasted 3.1 miles through Earth’s crust in only four hours, giving the people living in the town at the base of the volcano six miles away just 30 hours’ warning. The volcanic plume climbed 12 miles into the stratosphere, covering much of Patagonia with ash and drifting as far east as the Atlantic. No one lost their life, but ten days later, heavy winter rains washed the ash that covered the ruined mountains into the river, creating a lahar that caused the banks of the Rio Blanco to overflow and destroying 90% of the town. Because my publisher bought Boiling Point before it was written, I was able to travel to Chaitén volcano one year after the initial eruption for onsite research. I stayed in Chaiten town, even though the town was still evacuated and without electricity and running water, and hiked to within one mile of the new lava dome, where I saw steam vents, heard explosions coming from the caldera, and felt a small earthquake. It was an amazing and inspiring trip that definitely informs the novel! "A colossal pillar of ash and gas spewed from Chaitén’s caldera. Molten rock colored the column red as it streaked for the stratosphere, turning the sky around it a sickly yellow. Plumes of steam erupted from the surrounding rocks, cheering the inferno heavenward like hissing demons." "To the east, the massive pillar of ash stretched into the night. It roiled and pulsed like a living thing, lit from within by great sheets of orange and red flame like a Hollywood explosion that just kept going. Flickering around it and through it were brilliant bolts of lightning, dancing and chasing each other, lighting up the whole plume and the layers of cloud above and below with purple. A terrifying construct of fire and lightning and smoke. A vile, elemental monster, looming over his town, threatening to rain down flame and thunder. Heart-stopping. Terrifying. Like something born of the perverse imagination of a disaster movie director. This wasn’t something that happened in real life. And yet there it was, right in front of him, and Gabriel was watching it with his own eyes." "And then there was the volcano. At the edge of the caldera, wisps of steamlike mist. Beyond, a smoking hump—a newborn lava dome, barely visible in the shifting ribbons that curled up around it. A brand-new mountain where none had been a day ago. It smoked and shuddered, and even from this distance they could hear it pop and rumble as boulders tumbled down its slopes. The tendrils of steam that spewed from its sides rose up to meet the main column, a vast nightmare tower of churning ash and steam. It rose up into the heavens and mixed with the clouds until Ross couldn’t tell where the volcano’s plume ended and the sky began, spreading its umbrella over the world and raining down ash. Ash that was falling on them." "An angry black column of ash and debris filled the sky, writhing and roiling like something alive, so big, she felt like an ant contemplating the smoke from a roaring campfire. Like the lone survivor of an atomic blast." "At last, the caldera. She craned her neck as she drove through a passage that was eerily similar to the one she’d entered from the other side barely twenty-four hours ago. Towering walls guarding a narrow entrance, the gates of Hell. Inside, a world of fire, steam, and smoke. Staggering in its immensity and power. Elemental. She could feel Chaitén’s vibrations thrumming through the floorboards. See the rocks crumbling off the cliff faces as she drove between them. Smell the sulfurous odor belching from the bowels of the Earth. Hear the mountain roar. The vast expanse of rocky ground was split apart, riddled with cracks oozing new rock, spurting steam. And in the middle, a hill of red rock that was already the size of a small mountain, vomiting a roiling tower of ash and gas from the center of the Earth, darkening the skies and raining down cinders and ash: the newborn lava dome. Dante’s Inferno." – again and again and again. I’ll admit, by the time the last character saw the volcanic plume for the first time, it was becoming a real challenge to find a fresh way to describe what was essentially exactly the same thing. My next novel, I’m choosing a more colorful setting! To read an excerpt from Boiling Point, click here. I'm always running from trends, so while I initially enjoyed Justin's posts on Twitter (I lurked a bit once I heard about it - I don't tweet and personally hope the practice dies a quick death soon, once people overload on being too visible and having too many devices and sites to check in with), it quickly grew old and I dropped the practice of checking it once in a while. "Sh*t My Dad Says is the 377th most highlighted book on Kindle, loaded with foul-mouthed quotes from blogger Justin Halpern and cursing parents. This profane title has dominated the NY Times' nonfiction hardcover bestseller list for weeks." Maybe some of you love this book so much you sleep with it or your Kindle under your pillow so you can read from it each morning as it if were some rude horoscope to start your day. If so, this is not the post for you. I'll show you some cursing you struggling writers are out there saying to yourselves. This kid just writes down the b.s. his dad says and lands in the NYT list while I sweat and cry and bleed for my art and reap no reward? I agree. It's a sad state of affairs when a book that is destined to end up in everyone's bathroom next to Richard Carlson's Don't Sweat the Small Stuff is #2 on the NYT list alongside - well, never mind. I just checked the list and I wouldn't say it's all that impressive. There are some good ones on there (you decide: 9/2010 NYT List). Don't get mad at me, I'm so over books for adults that lately I've been reading my 9 year old nephew's books so I can enjoy reading again). What I mean is - it doesn't say much for America's intellectual powers, does it? Probably all that tweeting to blame - people's brains are mush so they can't handle anything beyond little snippets of swearing. I suppose one could make the case for SMDS being a sort of Potty Mouth Book of Zen ("Leap and the sh*t pile will appear"), but I'm not going for it. What I am going for is the lesson here. Aside from the obvious, what makes this book such a success? It's REAL people. Justin didn't sit around plotting how he could publish something and make tons of money and be on that dumb list. He focused on something real that made him laugh (or cry, perhaps. I can't imagine that it's sometimes not a painful experience to be around that negativity, however funny, all the time), that he was interested in and meant something to him, something clearly wacky and original, and he shared it. He also didn't embellish it. He didn't set up every post. He didn't comment on them or explain them or turn them into a story. He stepped aside and let them through. He didn't try to turn them into something they weren't. He also got very very very lucky. But we all know that's a factor, right? It's part of the game. Truth is stranger than fiction. We often don't take advantage of this enough. Some crazy thing gets handed to us and instead of going with it, we change it into what we think is a good hook instead of exploring the original possibilities. I need to warn you here, though, to not get so mired in the truth you can't step off the path if it's better for your fiction. That's also a trap. It's a fine line. But, at first, don't think about that. Don't think/care about what anyone else thinks. Explore the idea as it is, for what it is. If you're between projects - look around. Who or what is coming at you that has you shaking your head? That makes your brain tingle? Or other parts? Follow that. Tune in to your passion for it. Forget the NYT list. Yes - eyes on the prize - if that's your prize - but if that's all you're doing, you're spending too much time dreaming and not enough time doing. It's the doing that will get you there. So 'take a page' (or a screen - ??) out of Justin's book. P.S. Actually - if you're looking for a writing exercise - do just that. Pick one of his father's sayings and use that to start a dialogue between characters, or as the title of a poem. See where it takes you. Chris Stewart is program director for literary arts with the Maryland State Arts Council. Join her Facebook page The Real Writer or find her at www.therealwriter.com. Your Writing: Stop! Assess! 911! Eighteen years ago, when I lived in LA, my best friend and roommate took a new kind of defense class for women. The kind with the man padded so thickly that he looked like the Michelin Man with a PacMan head. 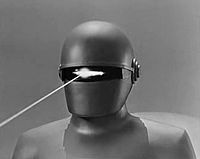 Or, as I thought of the men, an inflated Gort head (for the The Day The Earth Stood Still enthusiast). Julie would come home and alternately practice on me and show me some of the moves (after we lay down some pillows of course!). The first night, the instructor had taught them a mantra to keep the women focused on the process they were learning. It was: "Stop! Assess! 911!" You can imagine how often we leaped out from around corners and behind doors, yelling this and scaring the crap out of each other. Months. A few years ago, I created a handout that I started requiring my students to fill out, one that gave them an opportunity to similarly engage with their writing before it and they fell victim to ambivalence, inertia, or fear. Too often writers move from the writing process to the revision process without taking the necessary time to examine what they've written and honestly and objectively (as one can be) evaluate its strengths and weaknesses. Too often I asked someone in my class why they'd written something the way they had - what choices had they made and how was it working or not working? and would receive a blank stare in response. "That's how it came out," was sometimes the reply. I agree that, when you are first writing something you should definitely just let it out and not try to edit it along the way. You might stifle a vital impulse! It's thrilling to ride the creative wave and see where we end up. That's why we love writing. When it's on, when we're on, it's a great high. BUT, once it's down on paper and you've spent some time away from it (at least a week in my opinion, a month if you can manage it), you should read through the piece and be able to pick up on the clues its format, tone, length, images, etc. are giving you about what it wants to be. You should be able to explain your choices and make a case for them. AND you should be able to pick out your bad habits (tired metaphors, words we repeatedly use, characters or story lines we are recycling, weak dialogue) and where we are playing it safe. The shortcuts we all take rather than dig deeply from the creative well or challenge ourselves to take a risk either in character, plot, or style. Only then should you begin the revision process. Otherwise you are blindly slashing your way through possibly good material, and/or accepting the mediocre aspects of your writing. Neither will get you published. The revision process is your chance to make a leap of faith. To make smart, thoughtful choices about the elements of your piece. The writing will not be stifled or suffocated. There is still plenty of room for the unknown and unexpected to take hold. Once you start evaluating and examining the piece, you'll be amazed at what new ideas and associations come. Often so many you can barely keep up! I offer you the handout, with the exciting title of PROSE WORKSHEET. Hopefully that's innocuous enough not to strike panic in even the weakest creative soul. May it lead you to the Promised Land. Use this to organize your thoughts after the writing of a prose piece, whether fiction or nonfiction. The questions seem easy but they are not. Don't rush through them! Yes, a story is a feeling or idea that takes you over so you have to write it, but that’s no excuse for lack of organization and structure during the revision process! WHO IS MY MAIN CHARACTER? (Name, age, description, job, family etc. the basics, plus some of the abstracts: "a recovering shoplifter who is afraid of water, an amazing cook, who has just started online dating"). Write a juicy bio here. WHAT WILL GET IN HIS/HER WAY? MEANING – WHAT IS THE CONFLICT? WHAT OBSTACLES ARISE? WHO WILL GET IN HIS/HER WAY? (You may include him/her as well – we often get in our own way). WHAT ARE HIS/HER STRENGTHS AND WEAKNESSES AND HOW DO THESE FACTOR INTO THE PIECE? (Include other quirks, fears, dreams, embarrassing moments, successes, beliefs, memories, traumas – these things can come back up and further or obstruct the plot, and also be a means of showing us more about the character, and/or be part of their arc/development). WHAT IS MY SETTING? (include where character lives (city and home itself), job, family, friends, things like that). CAN I PICK OUT ANY USELESS HABITS OR REPETITIONS IN MY WRITING? SOMETHING I WANT TO STOP DOING? AM I USING ACTIVE VOICE, JUICY VERBS, REALISTIC DIALOGUE, ENOUGH DESCRIPTION? ANYTHING I'VE CHANGED MY MIND ABOUT? Chris Stewart is program director for literary arts with the Maryland State Arts Council. To follow her work, check out her Sense and Sensibility inspired blog Embarking On A Course of Study and join her The Real Writer Fan Page to take part in the next NAKED Write In! 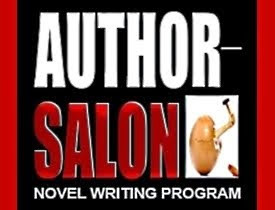 As writers who have completed books, many of us believe we have written the great American Novel or a nonfiction book that will change the world. And we may have, but the hardest part of being an author is convincing others of your feat. Not that you've written a book, but that your book is revolutionary. And even after you successfully market your book to the best of your financial and intuitive abilities; it still may not be enough. It doesn't mean you are failure or your work is inferior, it means that we live in a culture of niche markets. We no longer live in the homogenous society of the 1940s and 1950s where most people pretty much did the same things, bought the same products and lived their lives as they were expected to do – at least on the surface. However, many things are still homogenous like fast food restaurants and chains of hotels, gas stations, department and brand name stores and the big box bookstores. But not people. We blaze our own trails, often not caring what others think, throwing our fate to the wind in many cases. We are Americans and that spirit is truly American. The hardest thing for authors to do is find their niche markets. Even the publishing professionals don't know until the book is out and they track who is buying and reading it. However, they have a better sense of the markets because they are close to them, and they are right most of the time, but in the past five years or so they have been dead wrong. Their misjudgments or lack of resources to publish many good books has spawned the self-publishing industry. Lulu.com was the pioneer in 2002 and now is the largest online self-publishing book publishing company in the world. But Lulu is losing that honor to the more than twenty or more online self-publishing firms that have copied their business model to ride the wave including Amazon. The stigma that only inferior work was self-published has melted away primarily due to the publishing industry's failure to see this emerging market, and because of the Kindle and electronic book publishing. The Kindle and its distribution on Amazon was one of the sparks that ignited the self-publishing firestorm. Now you can access and read a book anywhere at any time, and the reading public determines if a book is a bestseller, not the publishing industry. And there are more bestsellers and good books out there than ever before. There are also more books out there that shouldn't have seen the light of the digital book world. But as the old cliché imparts, "The cream rises to the top." There are many authors who first self-published their work and then had that work picked up by legacy publishers. And this revolution is gaining momentum. R.R. Bowker, one of the major bellwethers of the book industry, reported that in 2008 print-on-demand books surpassed the number of books published by traditional publishers for the first time. In 2009, there were 288,355 traditionally published titles - a decrease of about 0.5% - while self-published titles reached 764,448. But most of the titles were public domain works brought back into print, according to Bowker. The total self-published books in 2009 by individual authors totaled 57,500. Still impressive. So the question is: Are you going to wait, perhaps your whole life, for a traditional publisher to pick up your book or are you going to self-publish it and increase your chances of success? Now that you have written and published your book, the hardest part is selling it. With more than 400,000 titles published in 2008, and now the explosion of ebooks, your marketing efforts have to be extraordinary even if you believe you have written a bestseller. Whether you are self-published or published by a traditional house, you will have to market, promote and sell your book. With print book sales declining, and ebook sales exploding, traditional publishers are forced to rely on the authors to promote and sell their books. They no longer have the unlimited marketing budgets of the past. I know many authors both self-published and traditionally published who are working equally hard to sell their books. It's a tough market, but here are some ways to improve the odds. Get Connected with Social Media – Create a Facebook, MySpace, Linkedin page, open a Twitter account, join any NING social networks related to your interests and book. Sign up to networking sites like Meetup.com, Classmates.com or InsideAreaCodes.com. Register with social bookmarking sites like Stumbleupon.com, Delicious.com or Digg.com. Register as an author on the online book sharing sites like Goodreads.com, Scribd.com, weRead.com and Shelfari. Visitors see your book, may purchase it and post a review on these sites. 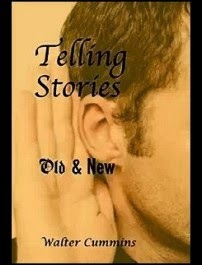 Use your book cover as your avatar or personal photo. The book cover consistently reminds others you are a published author. It may peak their curiosity enough to investigate your book and maybe purchase it. Work the social network sites consistently. After you have chosen the sites best suited to your interests and your book subject, you must participate on the sites for social networking to work. It is like you are running on a treadmill and the treadmill is connected to a generator keeping the lights on in your house. As long as you are running, the lights stay on and you keep building that Internet buzz about your book. When you slow down, the lights dim and the buzz is not so intense. When you stop completely, the buzz disappears. Put aside about a half hour of time each morning and each evening to participate on the social networking sites. Make comments, post announcements, send tweets, and respond to other's posts and blogs. You don't necessarily have to make your submissions related to your book. You can talk about anything as long as you're a doing something online where others see you and your book. Leave a link back to your book or web site on any post or comment and make sure you say something interesting to attract visitors to your website or blog. Create a blog and leave comments on blogs similar in subject matter to your book. Blogger.com and Wordpress.com are the two most used free blog hosting services. Blogger is best for the beginner blogger because it is very easy to use and doesn't contain a lot of bells and whistles used by programmers. Wordpress is the more advanced blog for users who know more about web page design and creation. Either site will work for the beginner or advanced user. Search for blogs that are similar in subject matter of your book or interests. Technorati and Google Blog Search are good search engines for finding related blogs. Join forums about your subject matter and participate. Use the various search engines to find forums related to your book. I find forums get a lot of traffic and when you post a discussion, you usually get instant results. Create contests and giveaways on your blog or website. Goodreads manages a book giveaway contest. All you have to do is determine how many books you want to give away and which countries you want contestants. Goodreads randomly chooses the winners for you and all you have to do is send them a book. Me again, touting my new online class on The Algonkian Conferences site. Let's workshop in our pajamas! AND, I would add to this quote: the frozen seas within us. Sometimes we get too caught up in what we think we should write, or what we have always written (for better or worse –our style, our themes) and ignore or shy away from what shows up to be written. We also ignore our weaknesses – the elements of craft we are not so good at, or worse – don't know our strengths and how to take advantage of them. We vow to figure things like this out later and never do. Well, later is now! Bring your unfinished, what you'd call your 'failed' writing (we'll address that term too), or something that's really flowing to this class–it doesn't matter. What doesn't work you can fix and what does you can make better. You must be willing to take your work apart. Most are more willing to do this with unfinished or old material that didn't 'work,' but you will get a more immediate benefit from interacting with current material while you are in the middle of the emotional experience of writing it. Regardless, this class is for any level of writer as we will explore both the magic and craft, the inspiration and perspiration, of writing, through analysis, exercises, opportunities (my more pleasing term for assignments), and, especially, approfondement! You'll learn to relax, step back, and 'allow' as much as you 'shape' (craft) the story, strengthening your relationship to writing. There's a mysterious, magical something that happens during the writing process that defies explanation – ideas, characters, dialogue, plot points come to you out of nowhere. It's a kind of alchemy, a gift. Invite it. Respect it. Nurture it. Make it work for you. Note that I said process. It's about process, not product. Anyone who has ever received those little gifts out of nowhere, had to get up and pace a room to contain his/her excitement , or fear, of what he/she was writing, had to chuck a chapter or even half a book (! ), and fought with, misunderstood, then made peace with the characters in the world he/she created, has already tuned in to the joys (which can sometimes initially seem like sorrows) of process. If you haven't yet experienced these – you will! Whether starting a story from scratch, or starting to be writer from scratch, or ready to revise a piece, you will: have a better sense of your voice and style, make friends with your strengths and weaknesses, and have a new set of tools for starting, finishing, and revising your work. You will also take more chances and risks and be more comfortable with experimentation. And, if you are working on something you are soon to pitch to an editor or agent, you will have a deeper sense of the piece and how to express its purpose and inner workings in a query letter. You don't have to have a successful, finished product to qualify as a 'better writer' by the end of this class. It's the willingness to step back and examine your writing self and your writing style, practice, and habits, making adjustments and taking risks where necessary, that will earn you the title. It's all about being alive to the art of writing. Your writing. It's messy, visceral, and delicious. And it comes from playing in the deep. I recently ran across an article in The Guardian, where authors were asked for their personal dos and don’ts. There was no indication of how or why certain writers were chosen and most of it is repetitious drivel, but let’s go through the first bunch and have some fun, and in my next post we’ll take on a sort of companion article in Salon, about readers’ advice to writers. Big Yes! 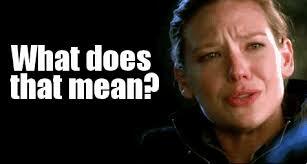 to Elmore Leonard’s rules about ‘said’ and adverbs. Been guilty of both transgressions myself. They just creep up on you and before you know it you are ‘gasping’ and ‘grumbling’ and ‘coaxing’ and, God Help Me, ‘trilling.’ Yes, I once used ‘trilling.’ You can’t hate me more than I hate myself for that one. I love Diana Athill’s idea of looking at passages you love with ‘a very beady eye.’ She says to check which passages would be better dead. Perfect lead in for a more updated version of Arthur Quiller-Couch’s ‘murder your darlings’ (it was Arthur Quiller-Couch, not Faulkner who said this, though Faulkner did change it to ‘kill your darlings') – which passages are Better Off Dead? Next! I’m sorry, but Margaret Atwood is just odd. I’m not a fan of her writing (I can hear you gasping with horror – Oh shut up; it’s a free country), I only liked The Handmaid’s Tale, but that’s not really relevant. What’s odd are her first few suggestions about taking pencils on a plane and how to sharpen them and a reminder to bring paper (DUH. For heaven’s sake, are we first graders here? We can handle the writing materials part, Margaret, make yourself useful!). If you haven’t given up on writing entirely and decided to go to medical school where at least you get to dissect dead people and SEE something, here we are at #5, Helen Dunmore. I’m sorry, who? I actually know who Helen is, but at this point I’m wondering if we’re ever going to hit a really heavy-hitting, popular, mainstream writer that most people know and would therefore listen to. We need some name recognition here. Not everyone reads Orange or Booker Prize winners. Her advice starts off promising, “Finish the day’s writing when you still want to continue,” “Listen to what you have written” (for rhythm, because jagged places could be clues to what you don’t know yet), and “Read Keats’ letters” and then fizzles out into things like: read and rewrite, go for a walk, know that you can write and have a family, join a professional organization, and more of the same. Anne Enright does a little better, and I like her tone. She seems very sensible and down to earth and wry. The kind of person you’d like to have in your critique group. She would bring booze and brownies. How can you not like someone who says right off the bat, “The first 12 years are the worst”? I wouldn’t say her advice is earth-shattering, but there is a recognizable kernel of truth and feeling behind each one. Do you hear that? Weekends off everybody! Richard Ford’s list is more the kind of quote a reporter would get from someone if they caught him coming unawares out of the men’s room. It’s full of don’ts. It’s usually better to tell writers what to do than NOT do. Don’ts are easier to think of, and if you’re on the receiving end, checking them off in your head because you’re guilty of them, you pretty much lose the will to live, let alone write a book. Dos are harder to come up with and make people feel more empowered. His best, “Try to think of others' good luck as encouragement to yourself.” That’s a toughie, but it’s true. Jonathan Franzen. Now we’re talking! Great writer. Great advice. Direct, meaty, witty (effortlessly witty, Geoff). Interesting, thoughtful stuff you can put into practice. My two faves, “Fiction that isn't an author's personal adventure into the frightening or the unknown isn't worth writing for anything but money,” and “You have to love before you can be relentless.” That last one takes your breath away – socks you right in the stomach. Esther Freud. Now this is just getting silly. There’s so much repetition of the same dull advice, that I’m wishing the writer of this article had taken most it! The only useful one, “Cut out the metaphors and similes. In my first book I promised myself I wouldn't use any and I slipped up ­during a sunset in chapter 11. I still blush when I come across it.” Still, she had the good sense to know she wasn’t doing us much good and stopped at 7 suggestions. Neil Gaiman stopped at 8 but should have stopped at one. His first one was, “Write.” Is that supposed to be funny? Or is Neil giving us The Zen of Writing Lists of Advice to Writers? David Hare. PD James. Al Kennedy. No comment. In the immortal words of a Monty Python sketch, I’d be deliberately wasting your time. Hey, they should have asked John Cleese or Terry Gilliam! I’m finished torturing you. Your reward for reading this is that there’s better advice in part two of the article, though there is, again, more repetition. I do love Colm Toibin’s suggestion to stay in your ‘mental pajamas’ all day. Ah, yes. That resonates. I doubt that these are truly the rules by which these writers live. Maybe some of the ideas, but there’s a certain self-consciousness to writing a list like this. In compiling it, you’re not thinking of yourself only, you’re thinking of all the hungry writers who are going to print out your list and carry it around in their wallets, pulling it out on the dark nights of the writer’s soul (of which there are many) in order to cheer them, like The Little Match Girl with her matches. And we know what happened to her, now don’t we? Who wants to be responsible for that? So, no, I won’t be giving you my list. Chris Stewart is program director for literary arts for the state Arts Council in Maryland. Her current project is Sense and Sensibility-inspired - following the imagined course of study Marianne Dashwood vows to enter into at the end of the novel: http://www.embarkingonacourseofstudy.com/. Register for her new online class: Revisioning Your Fiction or Playing in the Deep at http://www.algonkianconferences.com/. Faking It, peaked to number 6 on the Kindle Bestseller list during the last week of January with her second book, Ordinary World, positioning well around number 40. I wish I could give you a formula for my recent success as an Amazon Kindle bestseller. I've been going back, trying to re-trace my steps, and the best I can say is that all the pieces fell into place at the right time. I can, however, give you the pieces. They're the four Ps of marketing: product, price, place, and promotion. 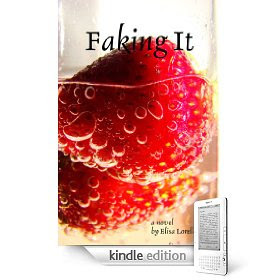 I had written my novel, Faking It, from 2004 to 2006. 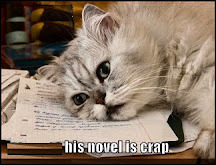 I spent much of 2007 querying literary agents, and while each query resulted in rejection, some agents requested the manuscript and gave me feedback that prompted me to revise the novel further. In late 2008, I decided to independently publish through Lulu.com. Despite the rejection from agents, I believed in my novel, believed in its quality and appeal, and believed a readership existed, waiting for it. Approximately six months later, in June 2009, I published it on the Amazon Kindle. Pricing, especially for e-books, has been under some scrutiny. Most Kindle users refuse to pay anything over $9.99 for an e-book. And although Amazon lost the recent pricing battle with Macmillan, read the discussion forums to get a sense of what Kindle owners want. Reading those Kindle discussion threads significantly played a role in my decision to price Faking It at 99 cents. (I had originally priced it at $1.99, with Amazon discounting it to $1.19 before they stopped discounting Kindle books.) Many indie (independently published) authors price their books under two bucks in order to entice readers who otherwise wouldn't give an unknown author a chance. But doesn't that devalue my work and deprive me of royalties? Well, yes and no. Of course I would love to charge at least five dollars for my e-book. My book is worth that, and more. But the question is more about priority. Do you want royalties, or do you want a readership? And can you get one without the other? I wanted a readership. Thus, I lowered my price to 99 cents in September. With each month, sales numbers rose. And, as previously mentioned, by Christmas week my sales really skyrocketed. Because I had independently published Faking It through Lulu.com prior to publishing on Kindle, I had a head start on getting out the word. I made bookstore appearances, gave a local Raleigh, NC television show interview, and jumped on the online social networking bandwagon, taking advantage of Facebook and Twitter. In conjunction to publishing on Kindle, I launched a 30-day blog tour. I also found the aforementioned discussion forums on Kindle (and learned when it was and was not appropriate to give my novel a plug). I had also become a regular participant on a Facebook discussion forum for Aaron Sorkin fans (the page was created by Sorkin when he started writing The Social Network, but was deleted shortly after filming wrapped). I rarely, if ever, talked about Faking It (except to let Mr. Sorkin know that I had mentioned him in my acknowledgements as one of my favorite writers). But as the other regulars got to know me, they purchased my novel and kindly mentioned it on the forum, offering praise and promotion of their own. Part of promoting yourself means knowing when not to give your book a plug, but rather just relax and have fun and take pleasure in the interests of others. I've stopped following authors who tweet the same message about their book (and nothing else) day after day, or only use their Facebook page to talk about their good reviews. I have more fun tweeting about things that have nothing to do with my novel, and I find that when I do get around to plugging Faking It or Ordinary World, the results are much more effective. More importantly, I support other authors - especially indie authors - as much as I can, either by hosting them on my blog, re-tweeting their messages, or recommending their book on Facebook or the Kindle forums. This is probably where timing came in. I was able to ride the wave of social networking, and the readers did the rest. Likewise, as mentioned, with the Kindle being the number one Christmas gift, I now had access to the very readership I sought. Every time I appeared on a blog or posted a message on a discussion board, my exposure increased. Twitter followers re-tweeted my messages, and Faking It appeared on Kindle book review blogs recommended as a good book at a good price. E-book distribution has really opened up thanks to sites like Scribd and Smashwords, not to mention Kindle and Barnes & Noble allowing free e-reader software downloads, and Kindle now being accessible on Black Berry, iPhone, iPod Touch, etc. is number 176. Both are in the Top 100 in Genre Fiction and the Top 20 in Contemporary Romance.) I had gone from getting 50 downloads in one month back in September 2009, to 50 downloads a day in late December, to 50 downloads an hour (it peaked at 150 an hour at one point!). There's an X-factor to all of this. No one knows how or when all these things align - believe me, I wish I did. I've tried to pinpoint the exact moment these four Ps converged, and who or what made the difference, but I really don't know why it skyrocketed as quickly as it did at the time it did. I also have no idea how long this success will last. My numbers have dipped quite a bit in the last two weeks (this could be because people are watching the Olympics rather than reading books, so I'm curious to see if the numbers change in the coming weeks). However, some doors are opened now that weren't previously, and it'll be interesting to see what happens in the coming months. I also plan to start experimenting with pricing, especially as Amazon's author royalty rates are scheduled to increase dramatically in June. If there's any advice I can give you, it's to start with your product - that is, make your book the best it can be. A readership is waiting to embrace indie authors, but they are holding those authors to high standards. They want to read books that are challenging, entertaining, and, most of all, well-written and well-edited. Pricing your book cheaply doesn't give you permission to publish a cheap book. Above all, work on your craft. Also, be persistent. My success didn't happen overnight, even though it sometimes feels like it did. I spend a lot of time following up on promotion, reading blogs and discussion forums, responding to readers, etc. It's just as much work as writing the book itself. Some days it doesn't pay off. Other days it pays off in ways I'd never dreamed. Get the word "can't" out of your language. If you believe something can't be done, if you believe you are limited, then your biggest limitation is you. 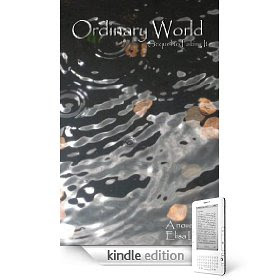 Faking It and Ordinary World are currently available as an e-book on Amazon Kindle and Smashwords for 99 cents, and at Lulu.com in paperback (Faking It is also available in paperback on BarnesandNoble.com and Amazon.com in paperback). You can follow Elisa Lorello on Twitter @elisalorello, Faking It Fans on Facebook, or "I'll Have What She's Having": The Official Blog of Elisa Lorello.